Over the Christmas holidays I greatly enjoyed reading a recent book entitled The Classic Cattleyas (Timber Press, 2006), co-authored by the Americans A.A. and A.E. Chadwick. The senior author (AA. Chadwick) has grown orchids for over fifty years and is well known as an author of many articles in the monthly Magazine of the American Orchid Society (Orchids), mainly on cattleyas and their cultivation, but also on orchid history. His son, A.E. Chadwick, is the proprietor of a successful orchid nursery in Virginia. Two excellent introductory chapters deal with the discovery and introduction of orchids, with special emphasis on cattleyas, first into Europe (mainly during the nineteenth century), and then into North America, mainly in the twentieth century. 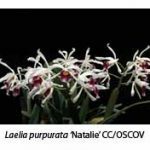 Then follows a major chapter on the discovery, introduction, description and cultivation of the 17 large-flowered cattleya species, namely Cattleya labiata, C maxima, C. mossiae, C. warscewiczii, C. lueddemanniana, C. trianaei, C. warneri, C. quadricolor, C dowiana, C eldorado, C. mendelii, C. percivaliana, C. gaskelliana, C. lawrenceana, C. schroederae, C rex and C. jenmanii. These species are listed in chronological order of discovery, from C. labiata (1817) to C jenmanii (1906). The next chapter, amusingly entitled The Orphanage – the Brazilian Laelia/Cattleyas, deals with six large-flowered species once well known as Laelia crispa, L. grandis, L. lobata, L. perrinii, L. purpurata and L. tenebrosa. The Chadwicks now consider these six species to be members of the genus Cattleya, even though their flowers have eight pollinia, rather than the four pollinia that characterize Cattleya, as it is generally known. Later chapters deal with cattleya hybrids, cattleyas in art, cattleya cultivation and pests and diseases. 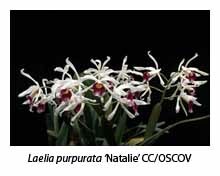 The story of how cattleyas and other orchids were introduced into cultivation in Europe, especially during the nineteenth century, has been retold many times. Also, how the European orchid boom burst (gradually deflated may be a better description) as the result of two world wars and the intervening Great Depression. In the second of their introductory chapters, the Chadwicks provide an excellent account of how commercial orchid cultivation in USA expanded to replace the vacuum left by the European decline. Much of this early growth was due to the sale of cattleyas, demand being fuelled by the popularity of the cattleya corsage during the 1920s and 1940s (it waned during the intervening years of the Great Depression). Apparently cattleya corsage sales reached their peak during World War 2, when it became fashionable for servicemen to present their girl friends and wives with expensive cattleya corsages before they left for service overseas. 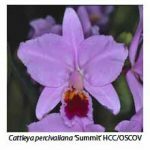 At first the demand was met by the large-scale importation of cattleya species from Colombia and elsewhere. Fortunately Lewis Knudson’s discovery of how to raise orchid seedlings cheaply in sterile culture in 1922 stimulated the cultivation of cattleya hybrids, thus saving many cattleya species from extinction in the wild. After World War 2 the cattleya gradually lost its popularity, and was displaced by the smaller, longer lasting cymbidium flower. But everything has its day and in the 1990s the phalaenopsis grew in popularity to the point where more phalaenopsis pot plants are now sold in USA than any other, with the exception of the Christmas poinsettia.